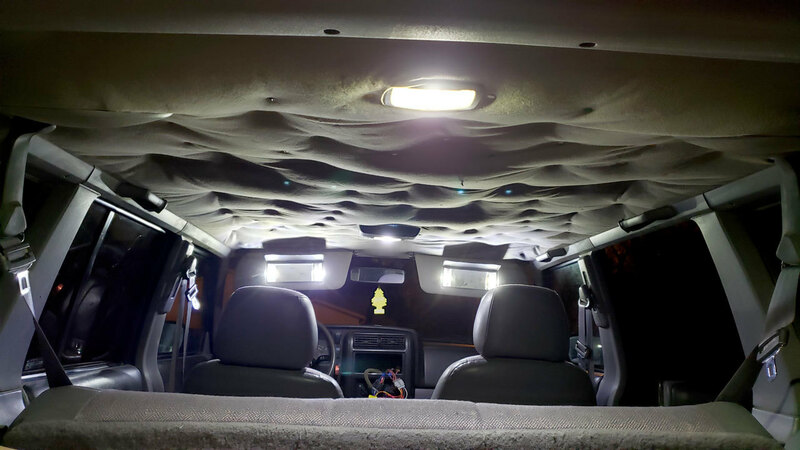 Ordered up an LED interior light set. The headliner is also on my short list. 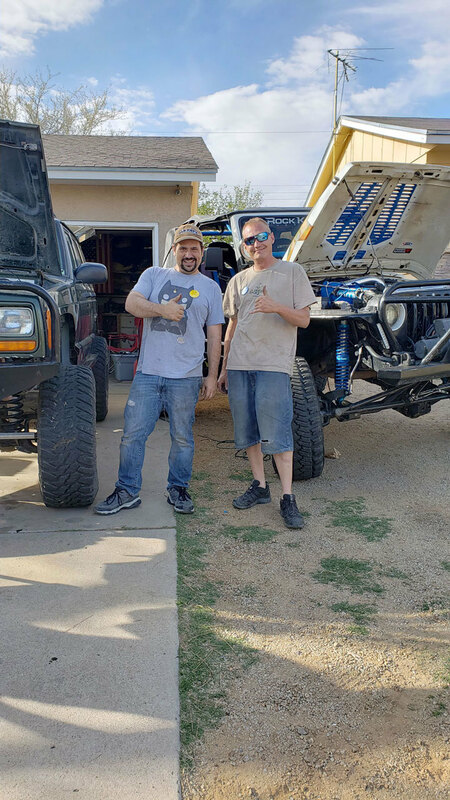 Worked on the Jeep this weekend. Sorry, only a couple of pictures were taken as I actually got my hands dirty and was turning a wrench. We had to remove the intake manifold to get to the exhaust manifold. The old manifold had a huge crack almost making one of the tubes come apart in two pieces. We were able to get the old manifold out and the new headers back in within about 3.5 hours. 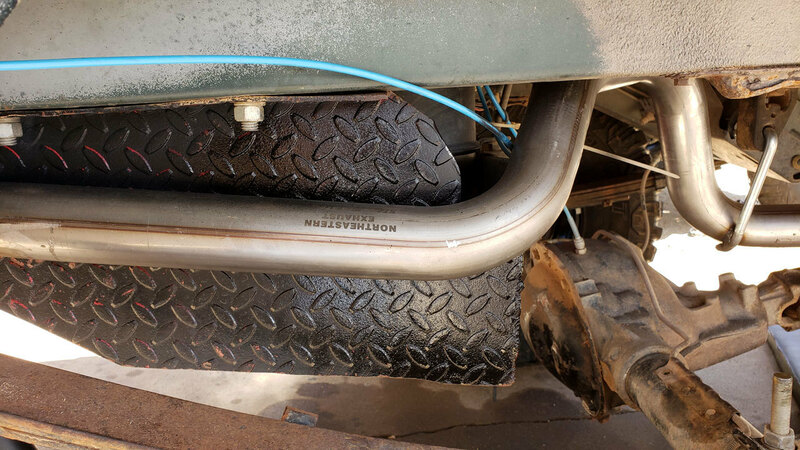 Once we got the exhaust header in, we had a few vacuum lines break on us. So we had to go through all of them and repair them. As we were repairing them, they would break more. I may order a new silicone vacuum line set. It's about $70, but I should never have the problem again. 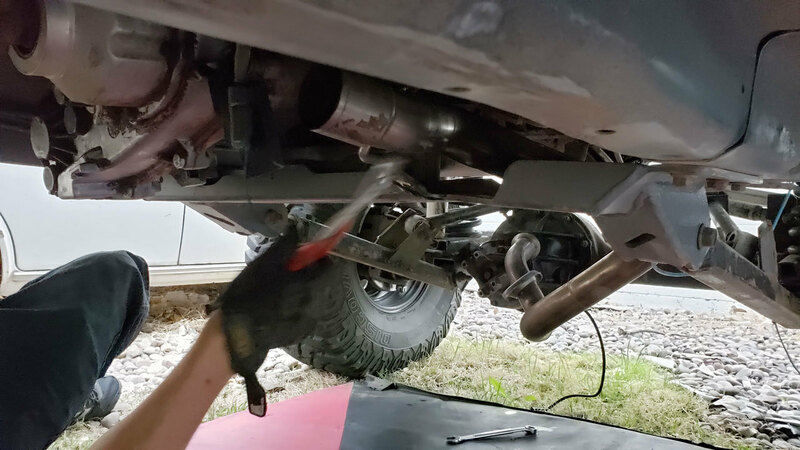 We started to hang the exhaust, but we missed the hanger and had to start over. Since we were tired, we decided to do it another day. Right now the Jeep runs, but sounds like a dragon when you slam on the gas. While we were under there, we noticed the rear main seal is leaking. Probably a new oil pan, looks like the previous owner slammed the pumpkin into the oil pan. I'm suprised it doesnt have a hole in it. i hope you have an idea of what you're getting into; cars were my first serious obsession. it's a rich man's hobby, imo. sometimes you get lucky & they give you a porsche. had 12 VWs before turning 25. Inspired by your thread. And the fact the registration plate if I was to buy as a personalised (contains my initials) would be around £1600. 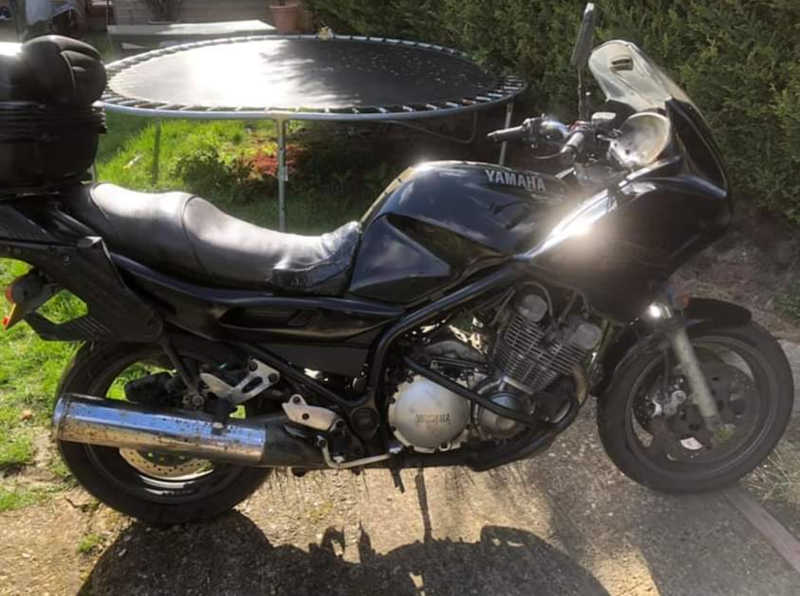 I thought it was a steal at £600. Found a courier to deliver to my door for £150 from darn sarf. Should be here by lunch tomorrow. Supposed to be really nice bikes to learn proper service technique etc on. I remember when the shop I worked at got the 4-wheel dyno & the one of the first tests was a formula/open-wheel car with a 350hp hayabusa turbo motor. VERY loud. I actually asked my mate about a 99 R6 in Fiat plastics but he's not wanting to sell with the nice weather coming back unfortunately. Finished up the exhaust this weekend. 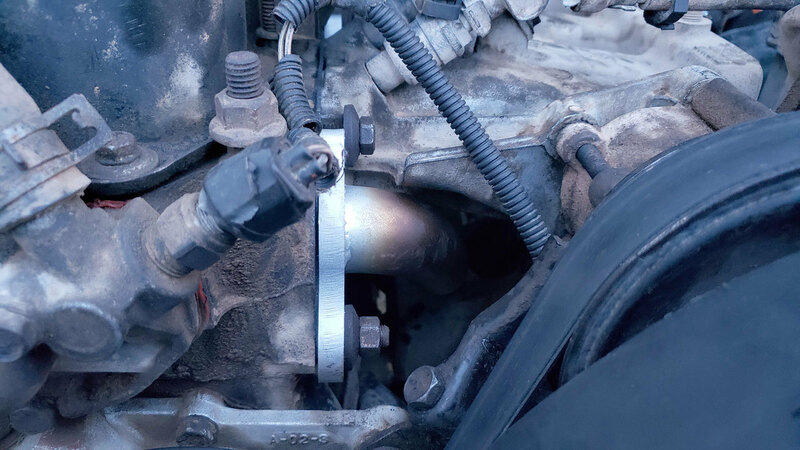 Last time we worked on it, we missed the hanger for the piece from the header to the catalytic converter. So we took it off and hit the hanger. Then we noticed this was rubbing on the cross member that holds up the transmission. We did some banging, but that didn't give us enough clearance. So we did a bit of grinding, which helped. And finally we ended up putting a spacer between the hanger and the support. This pushed it up enough to keep clear the cross member. 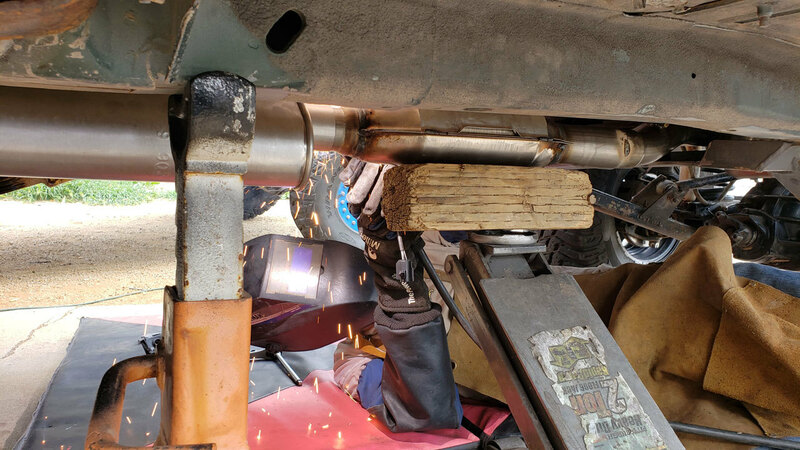 Next we fit the catalytic converter, muffler and tailpipe. 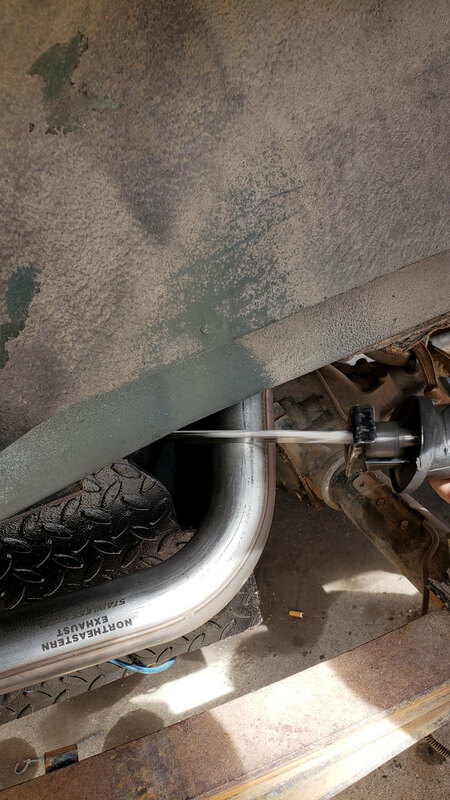 The tailpipe was giving us some trouble fitting, so we had to remove the shock and the tire. 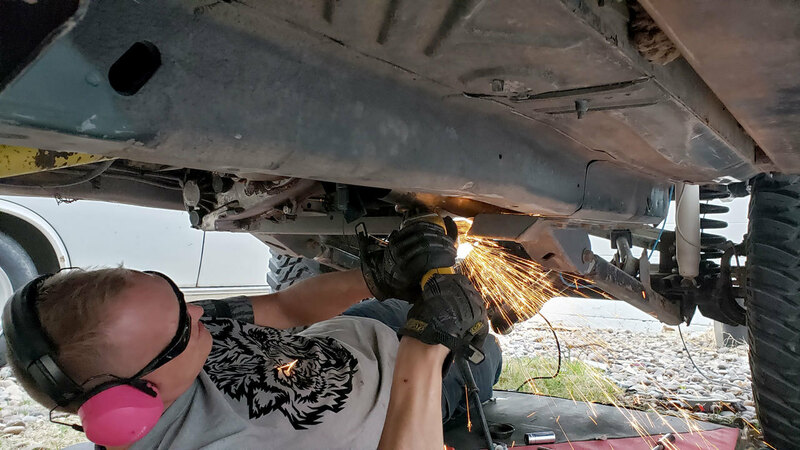 Once we got it where we wanted it, we began to weld it together. After all this work, we were ready for a break. 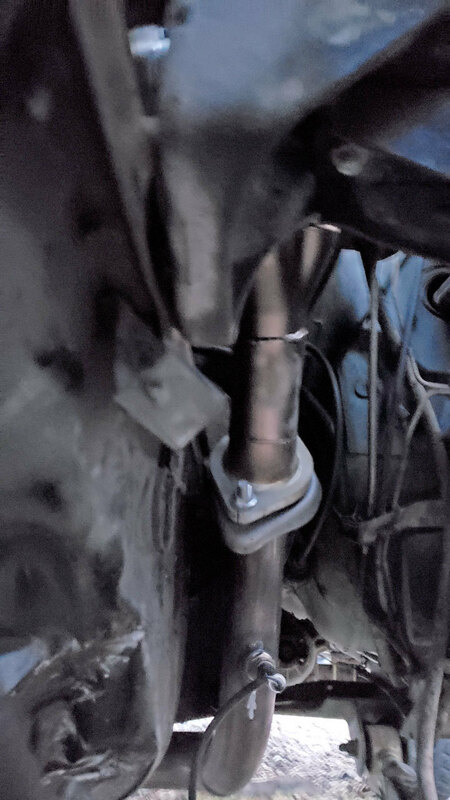 We weren't too pleased with the way the tailpipe was getting in the way of the leaf spring shackles. 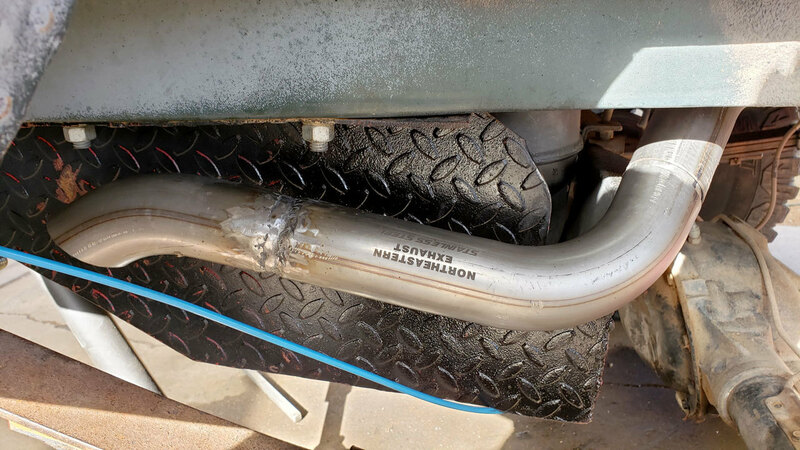 So, we cut off the tailpipe so we could reposition it. We cut out the bend and made it a bit shorter. 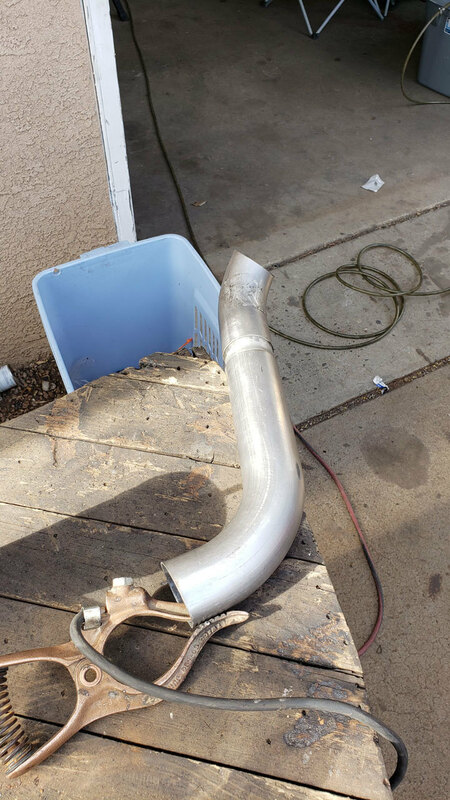 Once we got it all fit and ready we welded up the new tail pipe. Finally, we got it Fit and installed, ready to weld! What's with the crazy shot glasses? 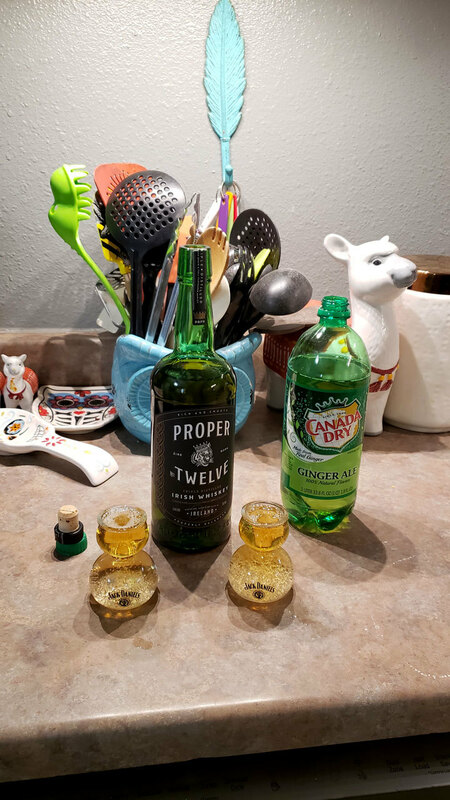 The lower chamber has the chaser (ginger ale) the top has the shot (whiskey). Looking good @ReikoX. In the picture with the grinder it looks like the guys shirt just caught on fire! That only happens when he is welding.